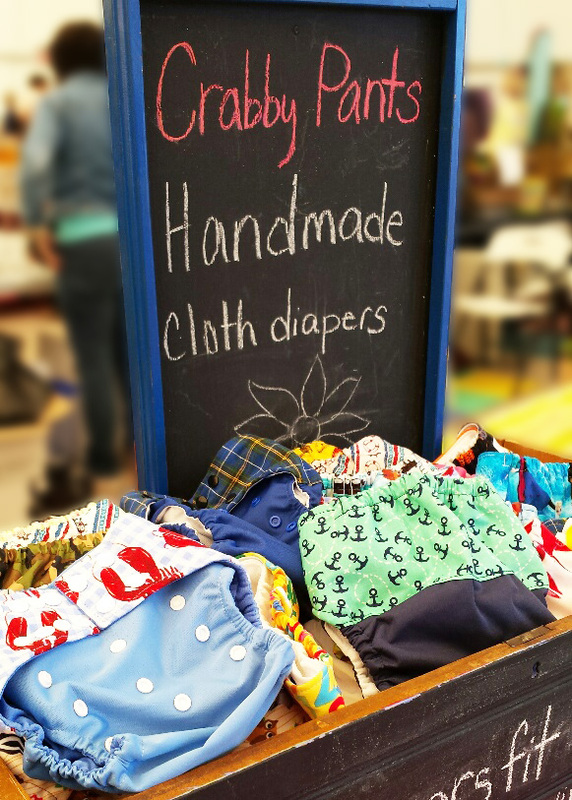 Crabby Pants Cloth Diapers was born shortly after owner Lynnette MacKay’s second child. Her friends loved the diapers she made for her daughter and asked her to make some for them. Lynnette has been sewing most of her life and has a diploma in Costume Studies. Making cloth diapers combined her sewing skills with her belief in environmental sustainability. Crabby Pants also makes cloth wipes and wet bags that are great for wet swimsuits and travel as well. Lynnette has always been a supporter of the New Glasgow Farmers Market and loves being a vendor because of the sense of community and getting to chat with new people and introduce them to modern cloth diapering.